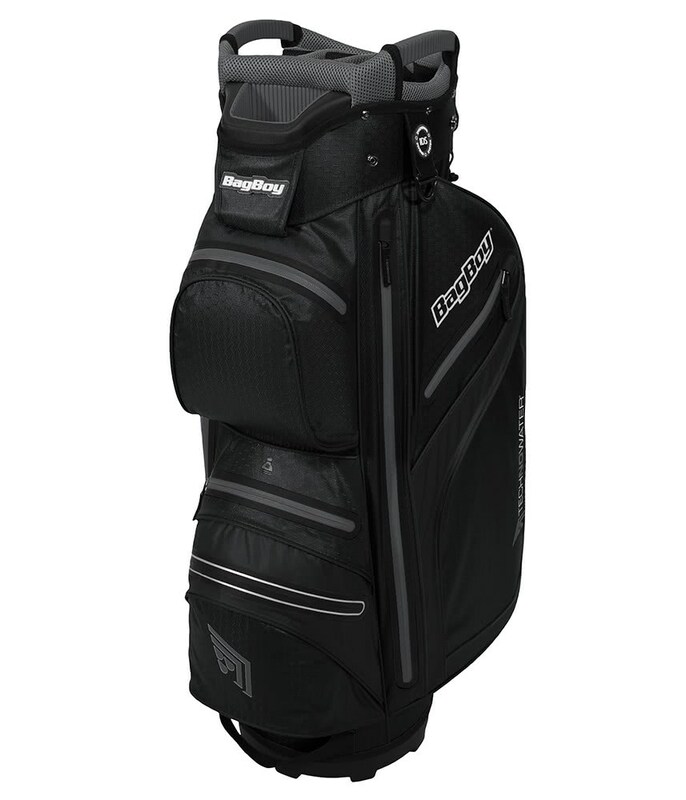 The BagBoy TechnoWater DG Lite Dri Cart Bag has been designed to meet the demands of the golfer who uses a trolley and pays year-round. 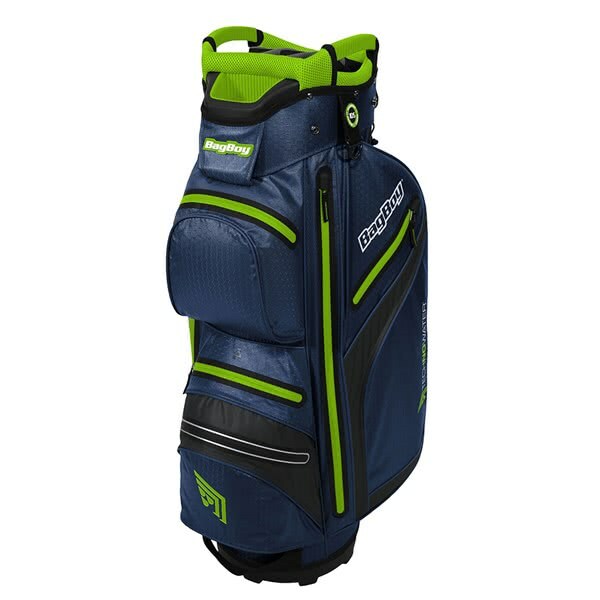 BagBoy have used a lightweight, waterproof fabric that makes the empty weight of the TechnoWater Dri Cart Bag only 2.39 kg. A total of seven thermo-welded pockets provide maximum storage. 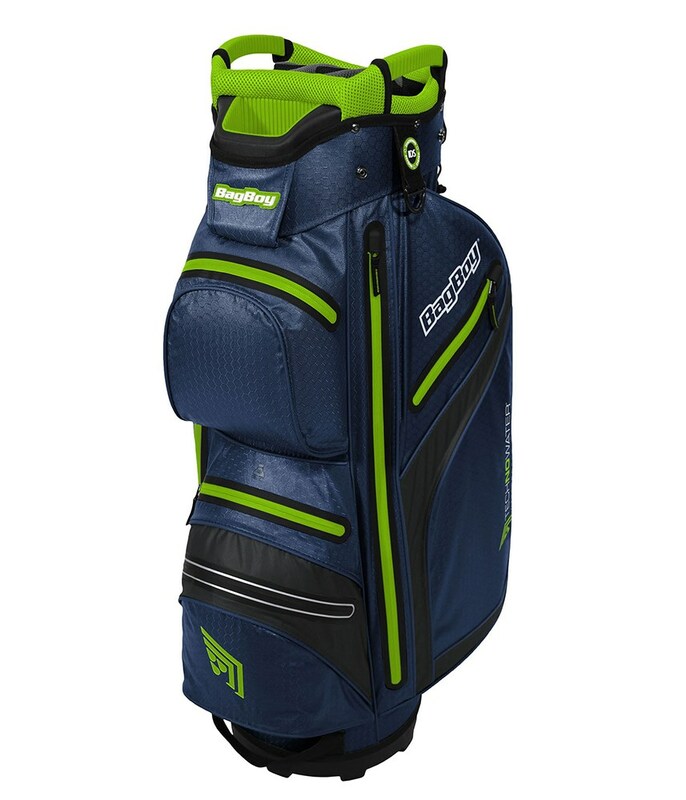 All seven of the pockets are forward facing allowing for easy access when on a trolley. 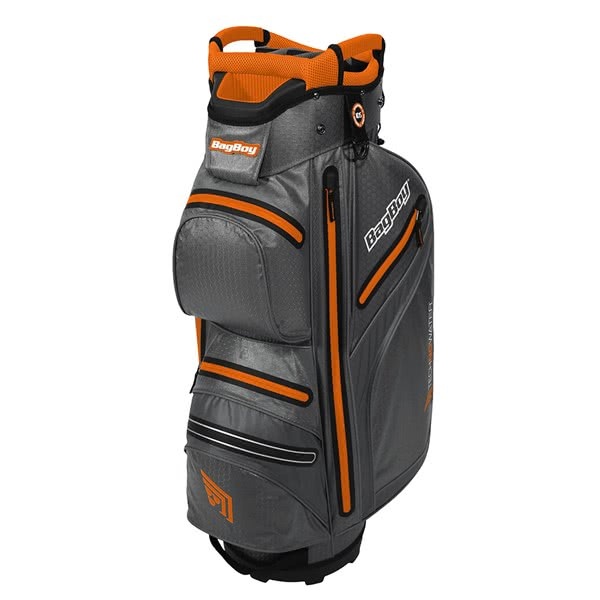 Included in the pocket design are two apparel pockets, a lined valuables pockets and multiple accessory pockets along the spine of the golf bag. 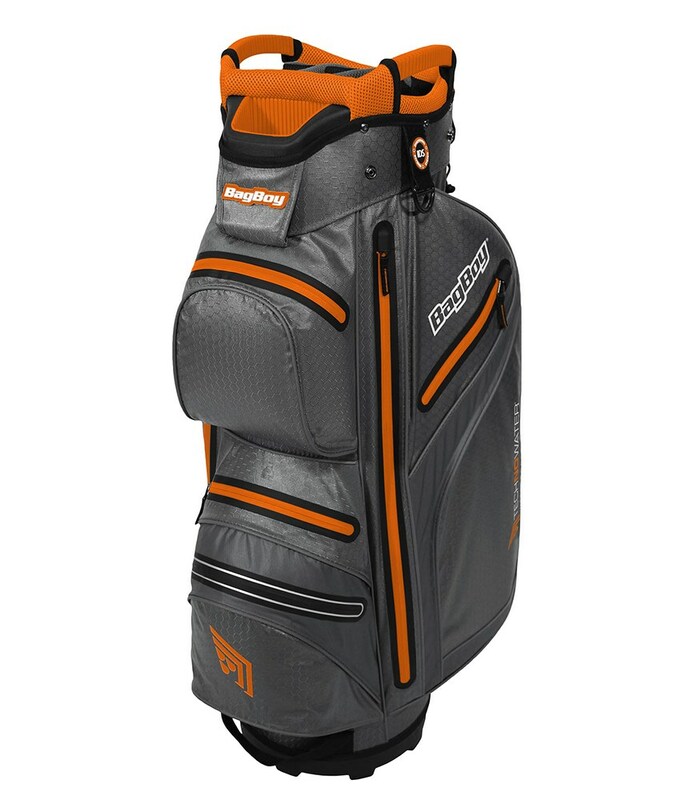 A 15-way organiser top featuring a full length individual divider system as well as an oversized putter pit make it easier to organise, pick and replace clubs as well as providing excellent shaft protection. 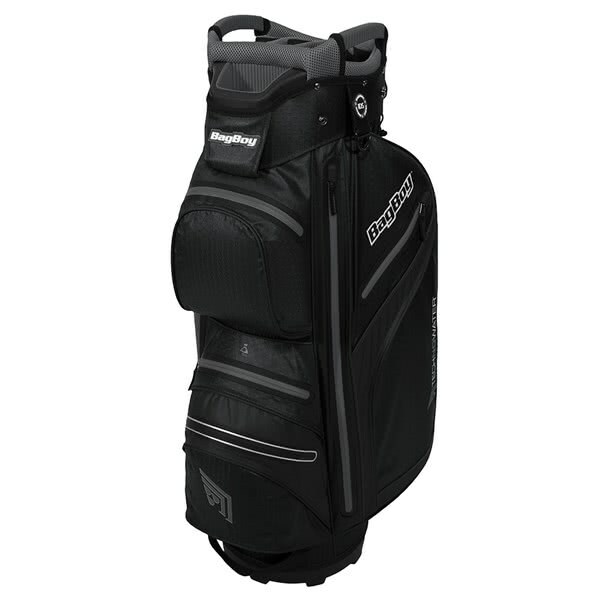 The TechnoWater DG Lite Dri Cart Bag also features BagBoy TOP-LOK technology that will allow you to securely fix your bag to a compatible BagBoy trolley.